Most of the New Power Elite in the U.S. hails from Silicon Valley. The first person to talk about is the omnipresent Elon Musk. He is Rockefeller, Morgan and Ford all in one — he has melded together currency, transportation and energy in a 21st-century way. Musk made his first fortune as a cofounder of PayPal, which processes the exchange of money. He chairs and co-founded Tesla, which is innovatively the Ford Model T. He is also the chairman of SolarCity, the publicly traded solar panel designer and installer run by his cousin, Lyndon Rive. His pending merger announcement of Tesla and SolarCity will join clean transportation and energy. Not coincidentally, SolarCity’s Executive Vice President of Global Capital Markets, J. Radford Small, was at Goldman Sachs for 17 years. And the underwriters Elon Musk is using on the Tesla/SolarCity deal? Goldman Sachs and Morgan Stanley. Musk is the modern version of the original robber barons. Expansion of his power is a fresh take on an old play. There’s also the “Breakthrough Energy Coalition,” which includes Microsoft co-founder Bill Gates, Facebook co-founder and chief executive Mark Zuckerberg, and Jeff Bezos, founder of Amazon. During the UN economic conference in Paris last winter, this group announced they would mainly invest in early-stage sustainable energy companies. The New Power Elite need energy to run their businesses. If they can harness new forms of energy, they don’t have to compete with the fossil fuel crowd or their legacies. And like their past counterparts, the New Power Elite can influence governments and policy without holding public office. They don’t need to be in the inner beltway to call the shots — they create the systems that monitor and share the information behind the scenes. They are investing in sustainability not only because it’s profitable, but because it’s a path to greater influence in general. China’s Next Two Moves Against the U.S.
China is challenging the U.S. for world influence right now. First, China is leading the way in wind, solar and associated investments, domestically and abroad. While being environmentally conscious and providing sustainable energy is good for PR and air quality, there is more to it than that. Geopolitics is strategically important and always at work — now more than ever. 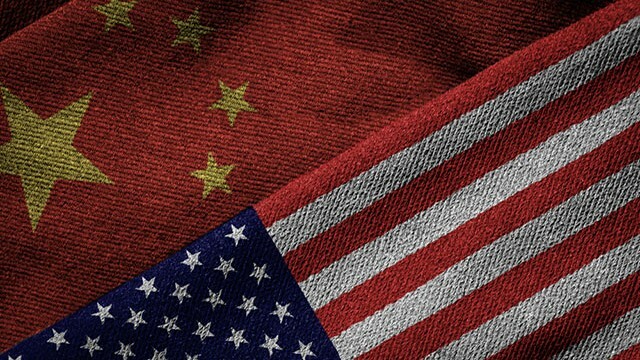 The competition between China and the U.S. can break depending on who has power over “dirty” energy and who can find alternatives to diffuse that power. It is all a power play, and that’s how you should be reading U.S. and China economic and energy headlines. China has a long-term view of the global dominance offered by the shifting power paradigm. Central banking is the second key to this shift. China is undermining U.S. dominance by making the yuan a viable option to replace the dollar as the world currency. The 2008 financial crisis destabilized global finance and accelerated China’s moves toward power and autonomy in the world. They want to get away from the fragile U.S. and European banking system and its central bank enablers. China was able to use the fallout to further jockey for its position as a global super power with respect to currency and energy. 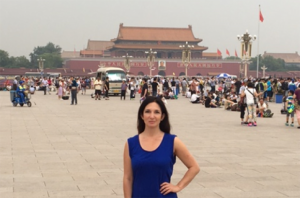 From my recent travels, I know that China has two target dates for certain global displays of their new power: the fast approaching G20 meetings and the 2022 Olympics. The G20 is the most urgent. China is hosting the G20 leaders on Sept. 4 and 5, 2016 in Hangzhou, Zhejiang. 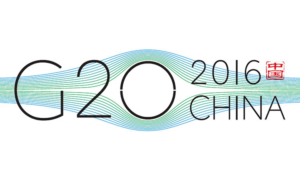 This will be the first official G20 summit hosted in China. According to one of my sources, China is spending around 100 billion yuan to make Hangzhou look and feel amazing for the G20 meetings. They want the G20 leaders (and the rest of the world) to see China at its best. One main topic on the docket for the G20 meetings in September will be the fallout of Brexit and ensuring stability in the currency and financial markets. Hand in hand will be the inclusion of the yuan in the IMF’s Special Drawing Right (SDR) basket. This is a huge move for China to gain power over the dollar. In an ironic twist, given its former bad rap on clean air, China’s superpower aspirations are paving the way for them to insert sustainable development into the G20 agenda by bringing the UN’s 2030 Agenda to the table. While playing host to the G20, China will spearhead discussion on green bonds. Before the Hangzhou event regarding green bonds, China will hold a meeting with the NDB, based in Shanghai. Eastern countries picture Shanghai as an emerging financial hub and it appears to be quickly over-taking Hong Kong in terms of international attention and national growth — and buzz. 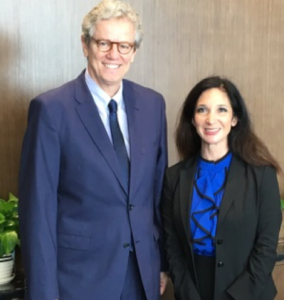 I met with Mr. Paulo Nogueira Batista, Vice-President of the NDB, at its headquarters. Mr. Batista was the executive director at the IMF, representing Brazil and 10 other countries for eight years. He was also a key architect of the NDB after the financial crisis of 2008. The NDB was created to “support public or private projects through loans, guarantees, equity participation and other financial instruments.” We met opposite the Shanghai Tower, the second-tallest building in the word, and one that promotes itself as the greenest. There, we discussed China’s dedication to leading the way in sustainable energy. We will try to be as green as we can. Traditionally, multi-lateral banks have wanted to do such projects but have complained that sustainability gets in the way. We, on the other hand, see sustainability as a goal in itself for the lending side. We are issuing our first green bond next week — proceeds will be fully allocated for green projects. We will set up an independent third party to ensure adherence to green standards. On July 18 2016, the NDB issued its first green bond, as Mr. Batista noted— a $449 million yuan-denominated green bond — into China’s interbank market. It is the first green bond from a development agency with a lead underwriter that is not a U.S. or European bank, but instead, the Bank of China. China currently leads the world in the sale of green debt and has helped push global green issuance in the first part of 2016 to equal the full-year total of 2015, according to my sources at the Asian Development Bank. On July 6 2016, the Bank of China sold $3.03 billion in new green bonds, the largest international issuance of its kind. The issuance was the first to be made in three currencies — a $2.25 billion tranche, a €500 million tranche and one issued in New York totaling 1.5 billion in offshore renminbi. It was also the first green bond offering from Asia to be made in Europe. Green bonds have benefits beyond their greenness — they have tax advantages and take advantage of longer term investment strategies, in a similar way to gold. Having walked around Beijing, I can tell you that pollution is troubling. Combatting it is something the Chinese government has aspired to since the 2008 Beijing Olympics. In my talks with city locals, I learned that the government planted trees and grass around the city with a vengeance before those Games. Beijing will host the 2022 Winter Olympics. If trees and air quality were of concern before, the Chinese government is even more focused on the future Games. It will be the first city to host both the Summer and Winter Olympics. It will be the largest city ever to host the Winter Olympics. After the Paris climate change conference in 2015, China has stated its goal to reduce emissions of major pollutants in the power sector by 60% by 2020. Sustainability, clean energy and green bonds are matters of national pride and power. With these factors, the Olympics will provide a vantage point for the world to revisit how China has progressed on sustainable energy. China, in its renaissance as a new global power, will increasingly rely on renewable and sustainable energy to drive its economy and those of its key allies and trading partners. Currently China is “the world leader in wind power, accounting for about one in every three turbines currently installed,” according to the Global Wind Energy Council. Solar power generation capacity was up 74% in China last year compared with 2014 levels. There are major implications in all of these changes, and opportunities to understand the energy wars.